Almost 40 Eagle AC club members turned out for this mornings ‘Coffee Run’ with several groups taking in the usual ‘Raffeen Hill’ loop while others were doing a specialised marathon training session with a tempo run in the middle for good measure. All the various groups met up later for a well deserved coffee which not only serves as a social occasion but helps support a small local business. There are a few photos from the run up on the Eagle AC Facebook page. 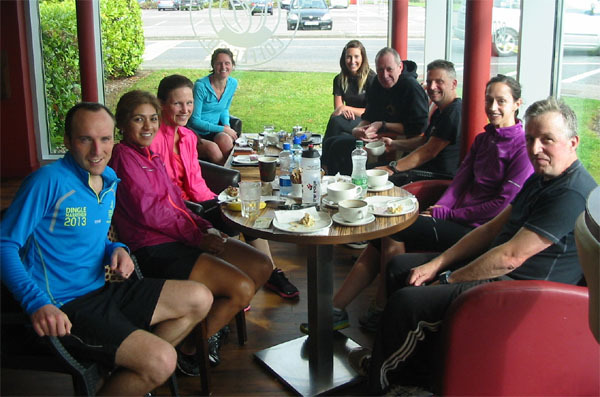 Our next planned ‘Coffee Run’ is on Saturday the 18th of October, one week before the Dublin Marathon. Overall standings….In the overall standings, we had 28 members who did all 4 races in the series. 7 men made it into the top 50 while 4 women made it into the top 30. In 2013, we had only 14 members doing all 4 races with 5 men in the top 50 and 3 women in the top 20. Club member Paul Scannell will be holding a series of Strength & Conditioning classes during the month of October 2014. His classes will focus on helping members improve their running economy and to help reduce injuries. a) Reduce your risk of injury by strengthening the connective tissue , including tendons and ligaments. b) As well as strengthening the propulsive muscles, it also helps build those which aid stability. Specifically, it improves the abdominal, hip, lower back and glute muscles. c) Improves your running economy so that you will run more efficiently using less oxygen at a given pace. d) Having a stronger core allows you to maintain proper running form which is an important feature in some of the longer events when fatigue begins to set in. An e-mail will be sent out to members with more details closer to the date. Even though the evenings are beginning to draw in, there are plenty of Eagle results from the last few days. 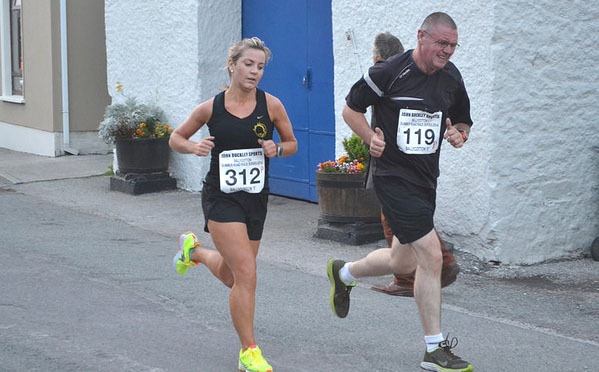 Doneraile 5k: This Couch to 5k race organised by North Cork AC was held on Friday 22nd of August. 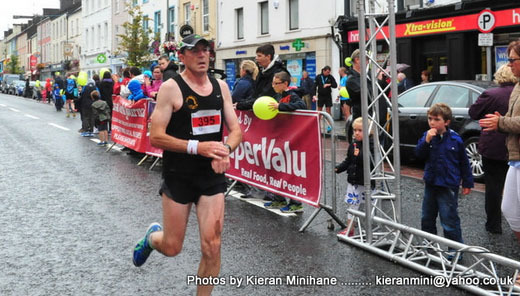 Derek O’Keeffe was on pacing duties for this one with his wife Mariko finishing in 29:43. Midleton Run Marathon, Half-Marathon, 10k & 5k: We had a number of members taking part in this charity run in Midleton on Sunday 24th Aug. There are no club names given in the results. These are the few we picked out. If you are not listed then let us know. Half-Marathon….Bit of a boo boo in this one. Eric Browne was the clear leader in the half from early on but was sent the wrong way by one of the race stewards which added about 1.5 miles on to his race. 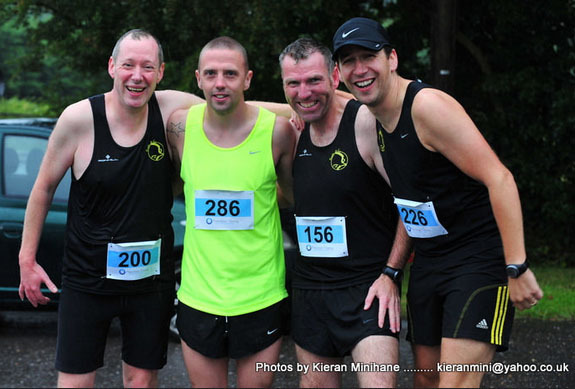 Coachford 5 Mile : This race was on Fri 15th of Aug and as far as we can see, four members took part. 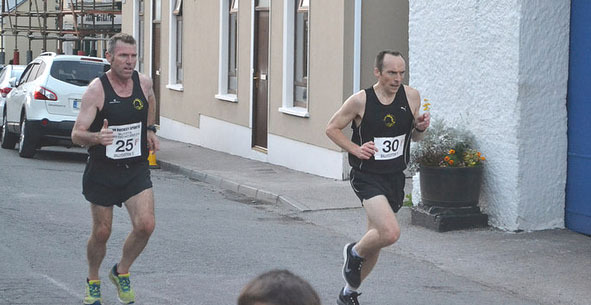 Race Report on the Coachford 5M From Mike McGrath : Confusion reigned at the start of this race as some pre-race on line and road side notices advertised the Race with a 7pm start time and others with a 7.30pm commencement. Unfortunately a few runners and walkers were caught out as the race set off at 7pm but this proved to be the only negative for what was a great event on a lovely Summer evening. With all proceeds of the race going to Suicide Awareness it was encouraging to see over 215 runners and walkers compete in the event.Whilst not a flat course this was a testing race with a couple of nice inclines one of which you encountered in the first half mile.The course surface was perfect for running and could certainly deliver a few PB’s for those willing to chase them ! Expertly marshaled throughout ,the route was traffic free with a much needed traffic detour being organised at Dripsey so that the runners and walkers enjoyed a congestion free journey through this picturesque village. With a fantastic spread of tea /coffee cakes and goodies at the finish for all ,the local community rallied to delivery what has become a great annual event.For those seeking category prizes this race will disappoint as only those in places 1st,2nd,and 3rd male and female were honoured ,something perhaps for Race Organisers to review if they are interested in increasing their numbers ! A lovely community based event, expertly organised and executed in the home town of Olympian Olive Loughnane who competed on the night, on a challenging route but one the author will certainly return to in 2015 ! Take a bow Coachford Community ! Knocknagree 1 mile race : This was organised by the Kerry club Gneeveguilla AC in Knocknagree in NW Cork on Fri 15th Aug. We had one member taking part..
Route2Crook 5 mile : Just two days after his run in Knocknagree, Ciarán Bouse was back in action at the Route2Crook 5 mile road race between Goleen and Crookhaven in West Cork on Sunsay. 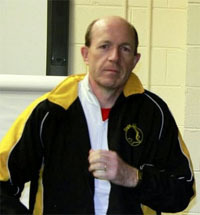 Ciarán’s time of 30:00 saw hime take third place overall. 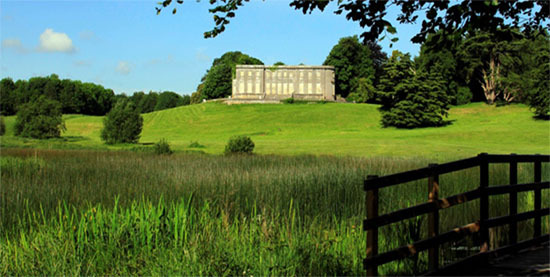 Curraghchase 10k : This 10k race was held in the scenic Curraghchase National Park in Limerick on Sunday 17th of Aug. Elaine Guinane was the 5th woman home in a time of 44:51 out of a field of 632 finishers. Rebel Run4Fun 5k : This 5k in Ballincollig was held on Sunday the 17th of August. 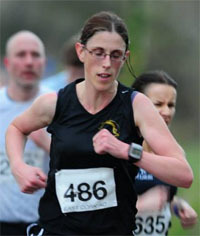 Sandra Manning was the second woman home while Caroline Kilty was the third. Another busy few days with plenty of members in action at various races. See the results below including a race report from Mike McGrath. 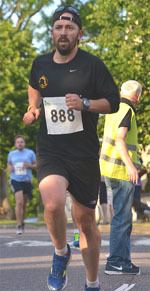 Cloyne 5k : The very popular Cloyne 5k road race on Wed 6th Aug attracted a huge field of 600 runners. The club had 9 members taking part. 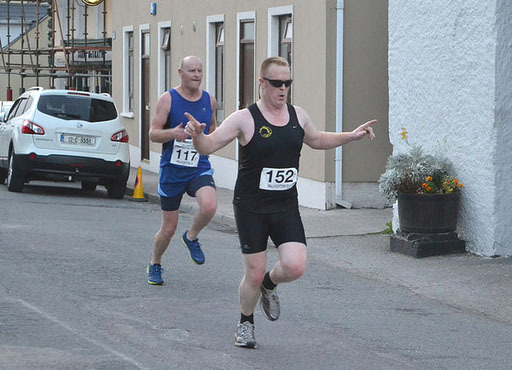 Race Report Cloyne 5K August 6th by Mike McGrath : This race is fast becoming one of the best and most popular 5K races in Cork. A few miles from Midleton en route to Ballycotton the entire local community assist on the night acting as Stewards, directing parking, ensuring that all 600 runners and spectators enjoy their visit to their village. Unlike a lot of other races parking, registering and moving around this event is so easy and is one certainly to run if you have not done so to date ! The route is flat , very fast and on a good mix of paved street and county roads which are closed for traffic & makes for a great circuit for running. A PB is certainly on the cards if you are in good form and with a nice down hill stretch to the finish outside the Community Centre you should have no excuses here ! A great spread of tea /coffee sandwiches and cakes and a goody bag awaits in the Community Centre so for €10 this race represents great value. With the aid of chip timing full results are pinned on the walls for inspection within 20 mins of the winner crossing the line ! Awesome organisation ! National Half-Marathon : The Rock ‘n’ Roll Half-Marathon in Dublin on Monday the 4th of August also doubled up as the National Half-Marathon. 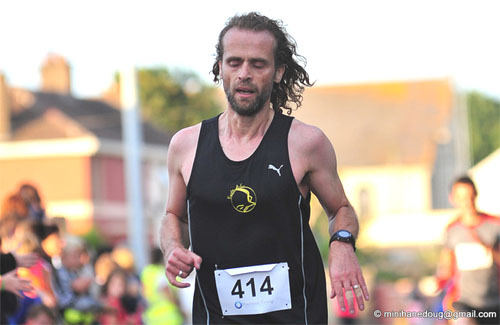 Keith Sexton made the journey to Dublin for this one finishing 21st in the M45 age category. John Hartnett 10k : The John Hartnett 10k road race was held in Ballyhooley on Sun the 10th of Aug.